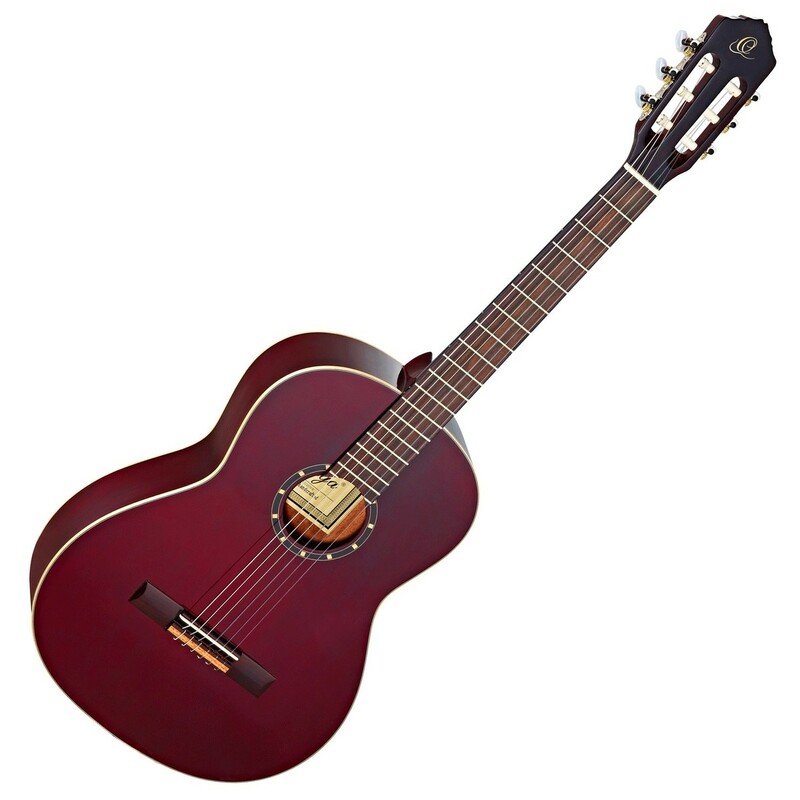 The Ortega R131SN-WR is a full sized classical guitar with a slim neck, featuring the classic combination of a solid cedar top and mahogany back and sides, resulting in warm and rich tones. 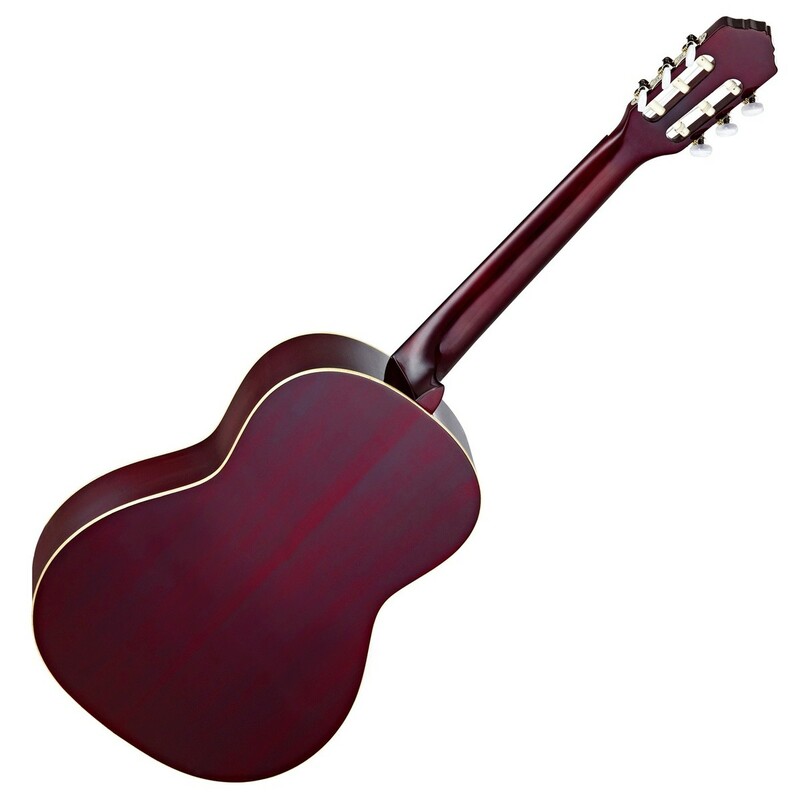 The slim neck will benefit players seeking a quality classical guitar, who prefer a more comfortable neck that is more common on steel string guitars. 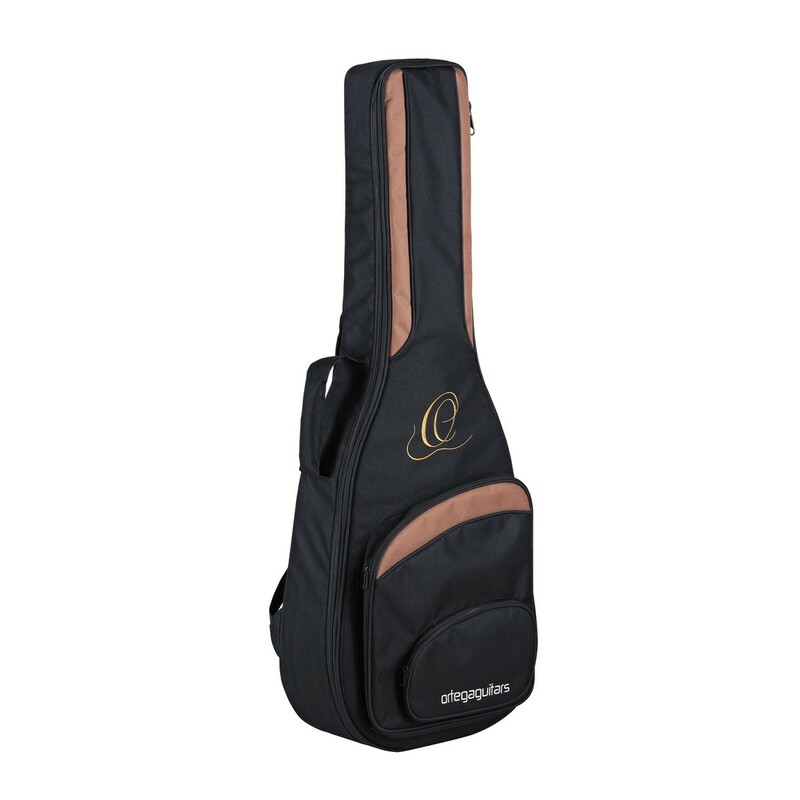 The included strap and deluxe gig bag ensure that you can take this guitar everywhere with peace of mind. SN stands for slim neck which Ortega use on their "SN" guitars. Compared to a traditional 52mm width at nut they use a 48mm width at nut on their SN models. This gives a more comfortable feeling while playing and also is perfect for players with smaller hands or shorter fingers. The innovative 12 hole bridge featured on the Ortega R131 is usually reserved for instruments at higher price points. This fantastic system makes string changes both quick and easy, even for total beginners. By simply looping the string around the two holes provided for each string, the player can trap the end of the string in a noose, help in place by the string tension. 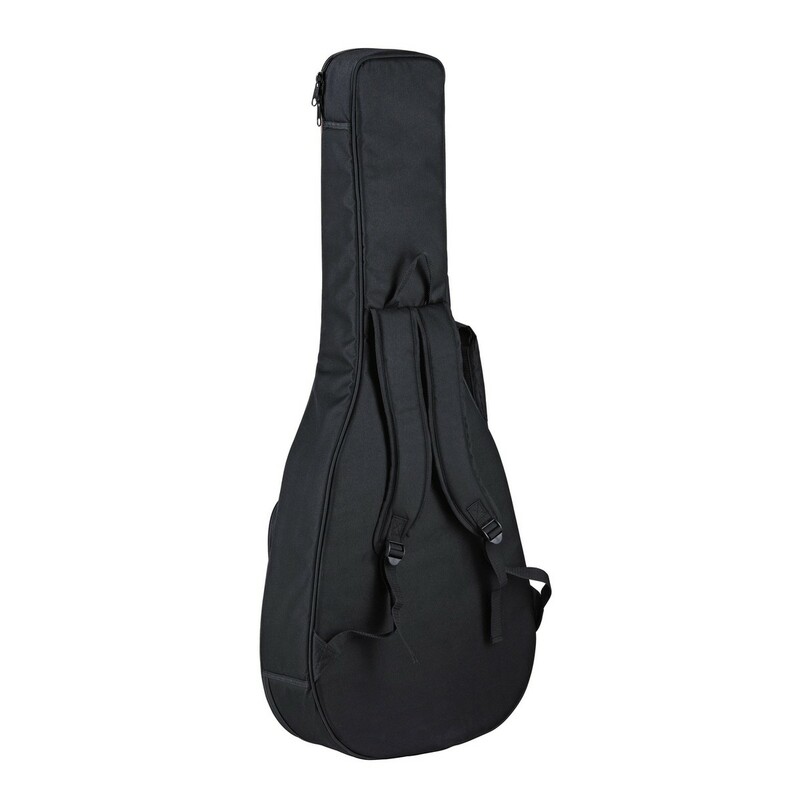 This solves the challenging problem of tying knots in nylon strings without ball ends.